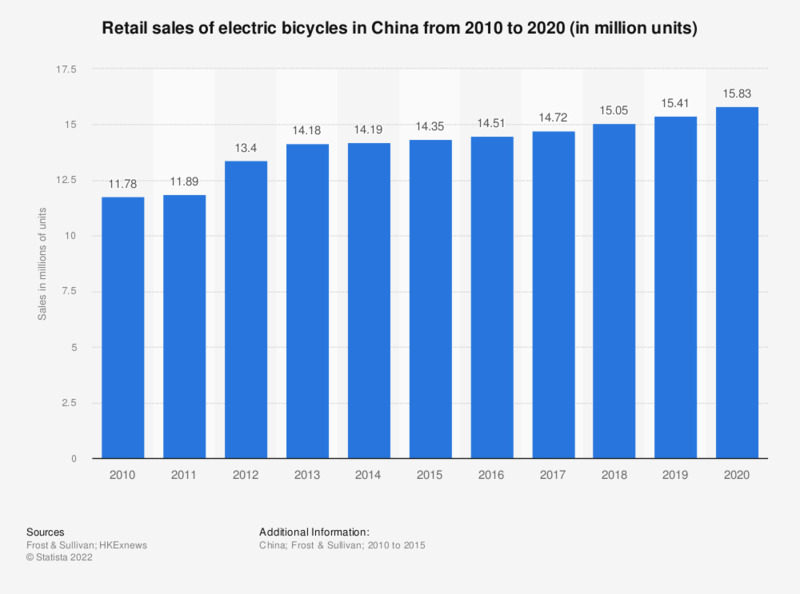 This statistic represents the retail sales of electric bicycles in China from 2010 through 2020. In 2015, some 14.35 million electric bikes were sold to customers in China. The country is the most important market for electric bikes worldwide.